Food and beverage is a sector characterised by more variables than many others. Yet, as with all other sectors, Lean works from the same starting point – value as perceived by the customer. 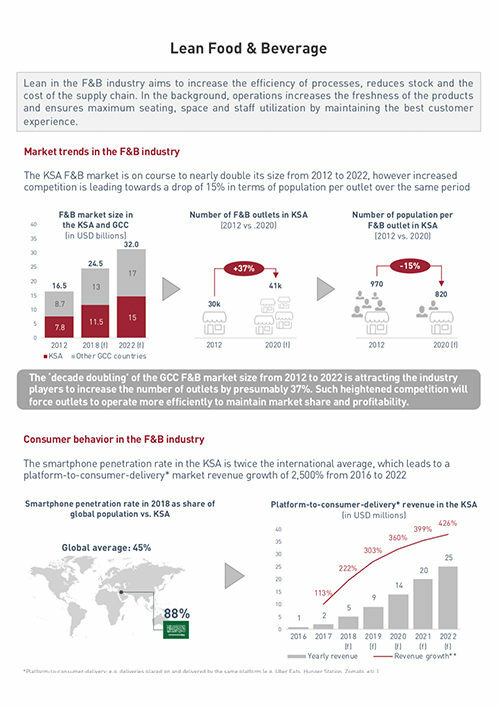 The F&B market is a competitive and volatile landscape – customers are mobile and discerning, and poor-quality product, service or experience result not only in individual lost sales but, potentially, long term lost customers. Moreover, in an increasingly sophisticated marketplace, F&B is a dynamic sector – driven by trends, savvy customers are looking for points of difference and the latest food “fashions”, from organic and vegan to regional cuisine and “home-made” offerings. For this reason, a Lean F&B operation must not only be efficient, competitive and attractive – it must be agile and adaptable. It must implicitly understand the customers’ needs – from the economic considerations of price paid and the social / experiential aspects of atmosphere and environment to factors such as convenience, meal duration and customer group size and turnover. Improved customer satisfaction influences not only repeat visits but also powerful word of mouth. This is why value from the customer’s perspective is of paramount importance. Lean methodologies enable improved quality, faster service, cost savings and the enhanced flexibility to keep offering new products that entice repeat visits and brand loyalty. Whether it is a dine-in or takeaway / delivery operation, Four Principles do not focus on individual process steps but instead take a holistic view of the entire production and logistic systems. By involving all departments and every stage of the process, this enables a shared mindset and collaborative ambition to reduce waste and enable sustainable long-term profitability. 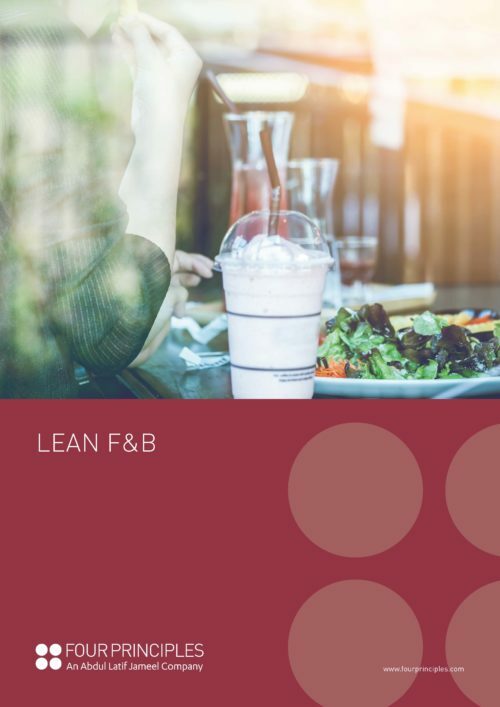 From small standalone restaurants to large regional or even global chains, Lean implementation provides a foundation for optimised and profitable F&B.